John Reid is the most experienced Cabinet minister of modern times. He has held more ministerial posts at Cabinet level than any other politician in recent history. In range of portfolios, and in breadth and intensity of change management across departments, his experience is unparalleled. Following almost quarter of a century as an MP in the House of Commons, John Reid was honoured with a nomination to the UK Upper Chamber as a Member of the House of Lords. He is a Principal in the Chertoff Group; an Hon. Professor at University College London; Chairman of the Centre for Security and Resilience Studies at UCL; a Consultant to the Private Sector; Chairman of Celtic Plc. He holds a BA (Hons), PhD, ACII, and an Hon. Doctorate from Stirling University. Minister of Defence (1997-1998); Minister for Transport (1998-1999); Secretary of State for Scotland (1999-2001); Secretary of State for Northern Ireland (2001-2002): Party Chair and Minister without Portfolio (2002-2003); Leader of House of Commons and President of the Council (2003); Secretary of State for Health (2003-2005); Secretary of State for Defence (2005-2006); Home Secretary (2006-2007). John Reid was nominated to the Upper Chamber in May 2010 and now serves in Parliament as a member of the House of Lords. As Defence Secretary and Minister, John Reid presided over the Strategic Defence Review which reconfigured the whole of the British Armed Forces in the post-Cold War period. As Transport Minister he played a major part in rescuing and delivering the new Jubilee Line extension, one of the country’s major engineering projects. As Health Secretary he oversaw a major reduction in both waiting times and waiting lists for hospital operations – the lowest for a generation – and drove the opening up of the NHS to independent provision. As Home Secretary he took the much-maligned Home Office by the scruff of the neck, famously declared it “unfit for purpose,” introduced a series of radical internal reforms and re-focussed the whole Home Office towards the contemporary challenges of International Crime, Immigration and Counter-Terrorism. John Reid has worked closely with the Prime Minister and Cabinet members; European Ministerial counterparts; Members of the national and European Parliaments; international politicians and diplomats; businessmen, industrialists; media, and local Councillors. He is rational, robust and thrives on pressure; identifying and harnessing creative ideas and enabling teams to fully share the goals for which they will strive together. He has led small teams of Ministers, Parliamentary Private Secretaries, and Lead Officials numbering from two to 20. 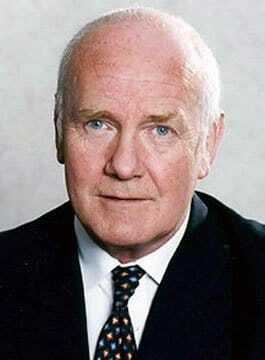 John Reid has been at the centre of the major political developments of the Government during all of this period. In particular, his expertise in the field of security issues is unparalleled, having served as Minister for the Armed Forces, Secretary of State for Defence, Secretary of State for Northern Ireland, and most recently as Home Secretary, the lead minister for domestic counter terrorism. He is familiar with a wide range of governmental institutions, from domestic to international; as Secretary of State for Scotland, Northern Ireland and Defence. His ministerial experience is buttressed by intellectual ability. He is widely travelled and well read. Reid has considerable expertise and experience in strategic planning, risk assessment and response.